When it comes to being a responsible gun owner, it can be a little tricky keeping track of all the latest gun laws of your state, not to mention the laws on the federal level. The gun laws of Vermont are relatively lax, as far as New England states go, but there have been some recent changes in the law that are putting restrictions on the rights of gun owners. Fortunately, we’ve got everything you need to know to navigate the gun laws of Vermont, so you’ll be out and defending your freedom in no time! The process of buying a firearm in Vermont is pretty straightforward and just follows federal laws for the most part. 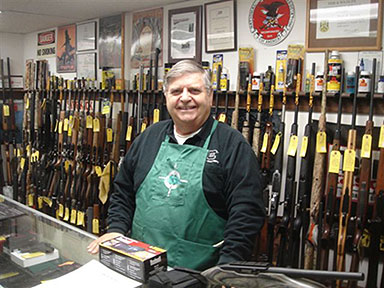 No permit is required to purchase firearms, though there are still some requirements, such as being the required age and going through a background check. Even though a permit is not required when buying firearms, there are a few basic requirements to keep in mind. These rules generally apply when you are purchasing a firearm from your local gun store since the dealer would need to check your ID and run that background check. However, in April 2018, Vermont started to require background checks to be performed even in private firearms sales. This means that even if you just want to meet up with some guy selling his “slightly used” Glock on Craigslist, you will actually have to go to a licensed firearms dealer and get a background check done before you can actually buy the gun from the seller. Of course, the dealer will charge a “reasonable fee” for their services. But hey, at least you don’t have to worry about finding a safe meeting place to do the transaction (what’s safer than a gun store?). Your friendly local Vermont gun dealer. There is an exception to the background check requirement, however. If you are transferring firearms between immediate family members, or if you are giving your gun to a friend (or they are giving one to you) to prevent “imminent harm”, then a background check is not required. Unfortunately, having to go to the range is not something that counts as preventing “imminent harm”. Even if you meet the basic requirements and go through the background check, you will still need to make sure you do not fall into any of the categories that would prohibit you from owning a firearm. If you don’t fall under any of these categories, you’re good to go! Now all you need to do is figure out which handguns you want to buy! The process for buying a long gun is no different than for a handgun, so all you really need to know is what type of long gun you want (hint: all of them!). Just like with handguns, the same rules and exceptions for backgrounds checks apply. Because of the new laws that went into effect in April 2018 for firearms purchases, you now must be 21 to buy firearms. However, if you complete a hunter safety course, then the age limit does not apply. Take the course as soon as you can! If you don’t want to go through the process of taking the hunter safety course, then you will need to keep in mind the rules on using and owning firearms if you are between 16 and 21. If you are under 21 but legally obtained your firearms before the changes, you can continue to own and use all your guns. The government isn’t going to take them away. Yet. If you are between 16 and 21 and did not purchase any firearms before the laws went into effect, you can still use firearms, but you just can’t buy any. And for those of you under 16, you need to have permission from a parent or guardian in order to use firearms, regardless of whether the guns belong to you or not. Not confusing at all. Never too early to start training! To balance out all the bad news on the new gun laws, you’ll be happy to know that you can still carry your firearms, openly or concealed, as long as you are not carrying with the intent or purpose of injuring someone. In fact, Vermont does not issue concealed carry permits, so you couldn’t get one even if you wanted to! In a state institution (i.e. prison). If you are ever anywhere that you believe may not welcome firearms, you can always leave it in the car to pick up when you get back. A good indicator is usually the metal detector at the entrance. If that’s the case, you’ll probably want to leave your gun in a safe hidden out of sight, just in case. Open and concealed carry laws do not apply specifically to handguns or long guns while you’re out on the town (or in the woods! ), but there are different sets of rules for when you’re in the car. 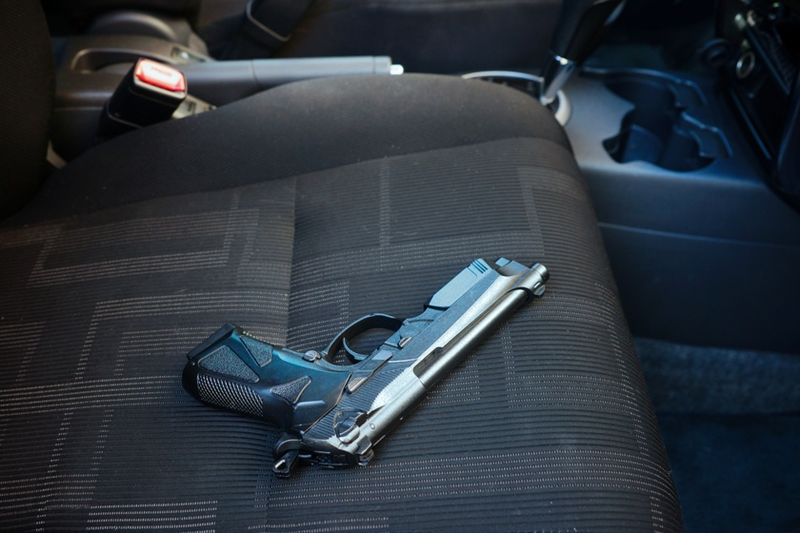 Handguns can be carried while driving if you’ve found a holster that fits nicely while sitting in the car. Long guns, however, cannot be loaded if they are being transported in a car. That means no ammo can be in the chamber, and you will want to keep the mags nearby, but not in the gun itself. Just a little bit. Under the new laws, there are now restrictions on magazine sizes, and conditions where the state can actually confiscate your firearms! 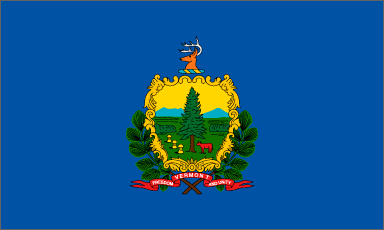 In order to make the state a little safer, the Vermont state legislature decided to place restrictions on the size of magazines in handguns and long guns. Handgun magazines are now restricted to those capable of only holding 15 rounds or less, and long guns are restricted to mags holding 10 rounds or less. Anything that holds more than those round counts will be considered “high capacity” magazines under the new laws. The good news is that the mag restrictions do not go into effect until October 1, 2018. What this means is that any mags purchased before then are still perfectly legal, whether they are 30 rounders or even 100 rounders, and you should stock up on as many as can you afford! To protect us from ourselves, the government has also enacted new laws that now allow them to confiscate your firearms in certain situations, even if you do you fall under any of the categories prohibiting firearms purchase. If you are arrested for domestic violence, law enforcement officers can seize your firearms. You’ll get them back at your arraignment unless the judge doesn’t think you should. In which case, they’ll stay with the police until the trial is over (assuming you can beat the charges!). While temporarily confiscating firearms in a domestic violence situation sounds reasonable enough, Vermont courts now also have the power to order you to give up your firearms for a set period of time, if you are determined to be an “extreme risk”. Threatened or attempted suicide or serious bodily harm to yourself. While it is certainly a good idea to protect the public, these types of “extreme risk” laws can easily be abused by the government. Since the laws are so new, it will (hopefully) be a while before we hear of any situations where firearms are confiscated from law-abiding citizens. Stay frosty! 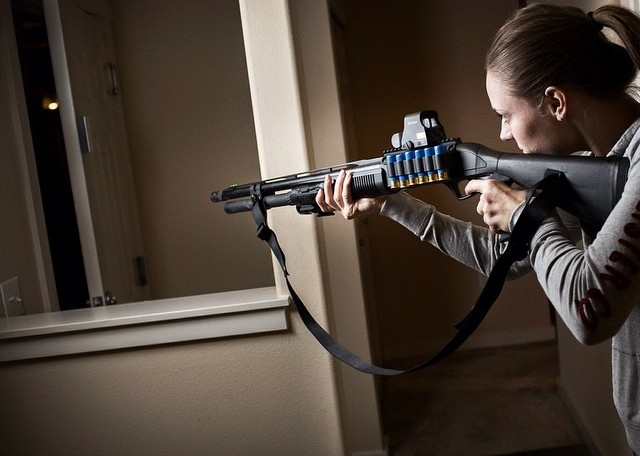 Aside from hunting and shooting at the range, there are times when you may need to use your firearms for self-defense. Fortunately, even with all the newly restrictive gun laws of the state, Vermont still allows you to defend yourself if necessary. For the most part. Under what is commonly known as the “Castle Doctrine”, you are justified in using deadly force to defend yourself or someone else if it is necessary to prevent a person from committing murder, sexual assault, burglary, or robbery. Of course, it is up to you to prove to the jury whether your use of deadly force was “necessary”, but that is something you can worry about after the fact. You will have to use your best judgment to make that decision in the heat of the moment if someone breaks into your home and threatens you or your loved ones. Often times, however, just showing your gun is enough to scare off the bad guys. Because bad guys are everywhere, you may run into situations outside the home where you may need to defend yourself. Unfortunately, there are no specific laws in Vermont on using deadly force when faced with a threat outside the home. What this means is that if you are ever in a situation where you may need to use deadly force in self-defense, it is better to try and remove yourself from the situation if possible, and avoid it altogether. Sometimes, of course, you cannot safely get out of a dangerous situation, and you will just have to deal with the consequences afterward. Better to be judged by twelve than carried by six. That’s it! All you need to know about the gun laws in Vermont! If you are interested in carrying concealed while visiting other states, your best bet is to apply for one of the CCW permits from states like Arizona, Florida, or Utah (or all three! ), so be sure to check out our CCW sections for those states. If you’re not concerned about carrying in other states and spend most of your time at home anyway, then you can just work on your gun collection instead! You’ll want a nice place to keep all your toys though. 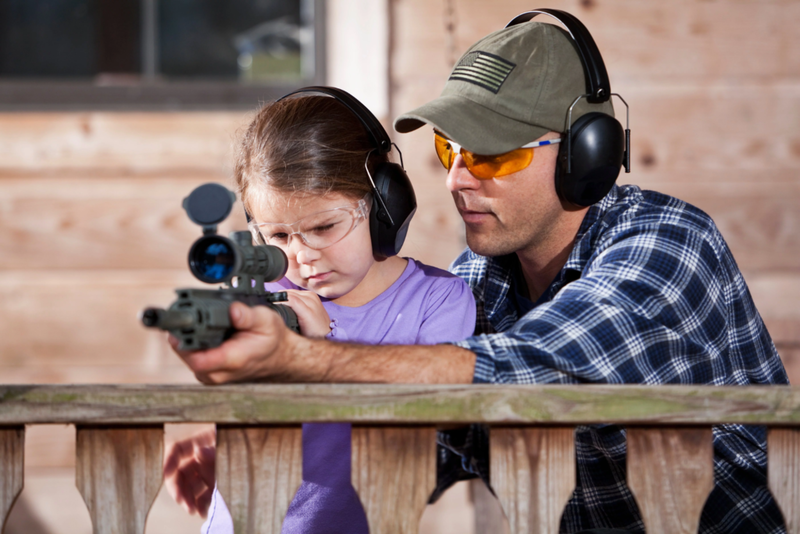 A sturdy safe can also keep your guns from prying eyes and curious kids. If you want to start smaller (but why? 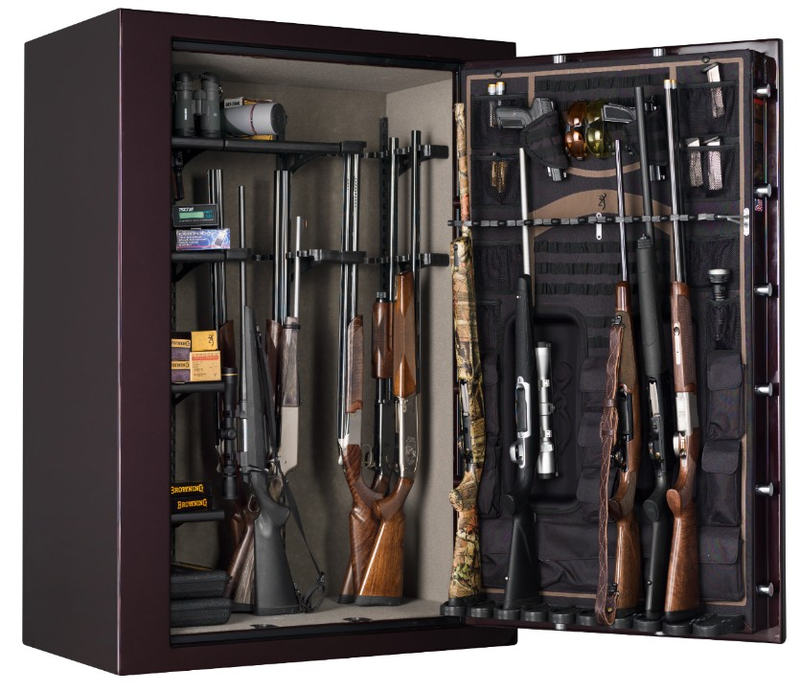 ), a gun cabinet or even just a decent handgun safe may be a good investment, so all those rifles can have a quiet place to rest after a busy day at the range. Now get out there and pew pew!